A very rare striking giant bamboo with beautiful golden canes bearing bright green stripes. 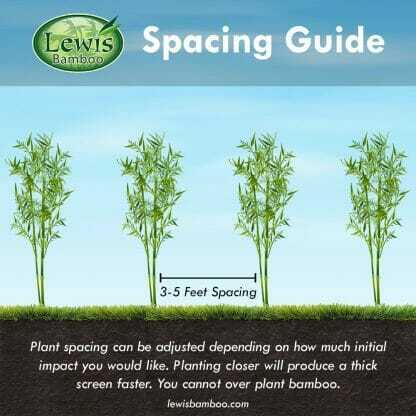 The varying widths of the green stripes make this bamboo very distinctive. Order within 20 hours 40 mins and your order will ship Tomorrow! 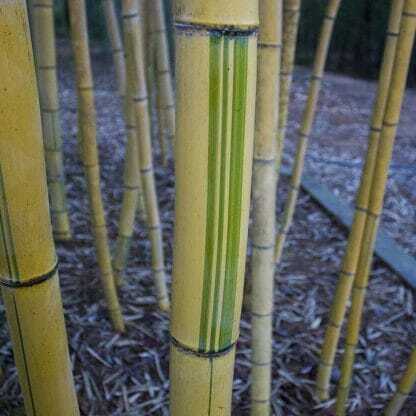 Phyllostachys Vivax ‘Aureocaulis’ (Green Stripe Vivax) is a rare collector species and a fairly recent introduction in U.S. ‘Giant Stripe Vivax’ has striking giant bright yellow canes, with occasional dark green stripes. The varying widths of the green stripes make this bamboo very distinctive. Some canes will have multiple stripes and some will have very few. Even those with few stripes have the beautiful buttery coloration. The oral setae and auricles are absent from the culm sheaths. There is also white pin striping on many of the green leaves. In USDA Climate Zone 7 expect mature size canes to be over 60+ feet in height. 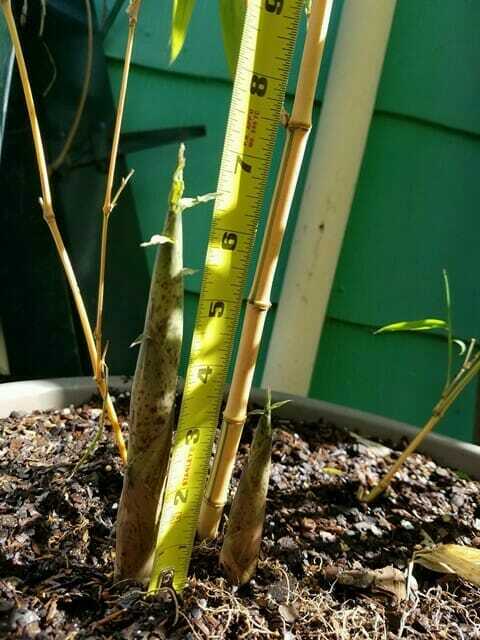 In USDA Climate Zone 6 expect mature size canes to be 30+ feet in height. As always with giant timber species, ‘Green Stripe Vivax’ is difficult to produce small 2 and 3 gallon sizes. That is why availability is very limited. Timber bamboos are truly giants towering in the sky. 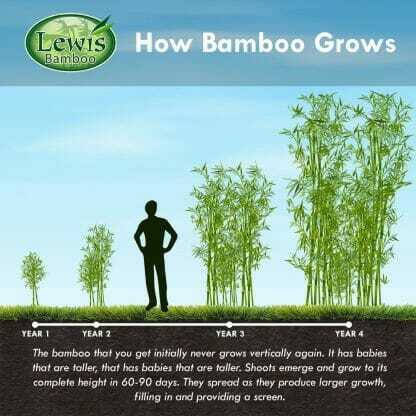 These giant timber bamboos will reach their full maturity in warm climate zones. This species does good in colder climate zones and will still reach large diameter sizes. 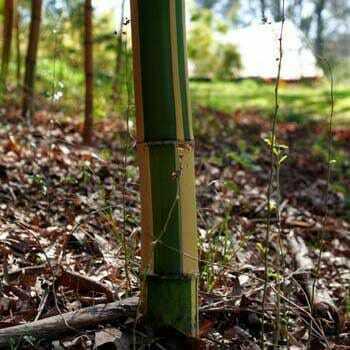 It puts up new shoots or canes later than most species allowing it to thrive in colder areas of our country. Green Stripe VivaxI ordered the 3-gallon version of this one on 3/4/18, and it arrived a couple days later. I was really busy and didn't unbox it for a couple days, and then I unboxed it but left it inside by a window because I didn't have time to plant it yet. It was tall and healthy and beautiful right out of the box. A few days after that I planted it outside in a large container (its permanent home isn't ready yet), and it's doing great, with lots of thick green foliage. I noticed 2 babies coming up on 3/21/18. Right now it's 10:30 am on 3/25/18 and they've already grown a lot just in the intervening days. This photo was taken just now, 4 days after they first appeared. I live on the Gulf Coast. It's in a large container against south-west-facing wall. I've watered it almost daily. I also bought the 5 oz fertilizer packet add-on and used a little a few days after I planted it. It's a beautiful plant. Got it in a container. I live on the western coast of the lower peninsula of Michigan. 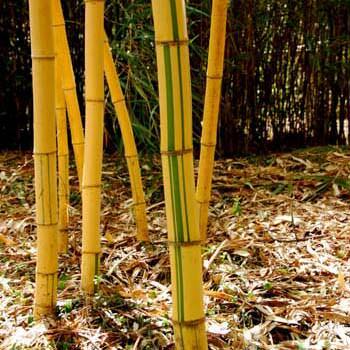 The winter here is a bit much for bamboo. So sometime soon it's coming inside. but that's what I'm attempting to do.